When someone has a family member or a loved one that is abusing drugs or alcohol it can be hard to watch. And while confrontation is a hard thing to do, often times it’s the only way to really make someone see that they need to change their behavior. An intervention is often the first step towards recovery, and statistics show that it is something that can help someone who may not want to stop their dangerous, damaging behavior see that they need to re-evaluate their priorities in life. If a substance abuser has strong feelings for his or her family or friends then an intervention is more likely to work. Often times taking drugs or using alcohol is seen as a personal choice, something that is no one else’s business. An intervention makes a substance abuser see that his or her behavior is a stone thrown in a pond, and the ripples touch everyone that knows them. Once an addict sees this, and realizes how the choices being made with regards to substance abuse can hurt their wives and husbands, children, friends and everyone else, it can be something of a wake up call. Even the confrontational part of interventions can be beneficial in the long run. People have to lay out the consequences for a substance abuser, and let them know in no uncertain terms what will happen if they keep using drugs. Many abusers will try to wheedle out of it, but if you set concrete expectations and leave the choice up to them, then they have a real decision facing them. Often it means divorce, loss of parental rights, and other socially devastating things if they don’t seek out help. Sometimes that is what’s needed to jump start the road to recovery. Intervention can help you change your behavior and your life! Interventions are a blend of tough love and understanding. On the one hand you want the person to know that you’re serious about getting rid of drugs and seeking help for substance abuse. On the other hand you don’t want to berate, insult or belittle the problem. Interventions need to be flavored to what the individual will respond to, and they need to focus on what they find important. For instance, when Stephen King wrote about his intervention he said that his wife told him either he cleaned up, or she would leave him. There was no room for compromise or wiggling out of things, and as a result he knew that she was serious about this issue. So, famously, he cleaned up and kept right on working. The point is that you can lead a horse to water, but you can’t make it drink. If you want your loved one to get help then you can do everything in your power to entice them, but in the end the choice has to be left up to them. An intervention is still a conversation between adults, and that is something that cannot be forgotten. One of the easiest ways for an intervention to go south is to treat the substance abuser like a child, or to order him or her to just do something because it’s for their own good. An intervention is an exchange of feelings, a clearing of the air that lets the substance abuser know that you love them, that you’re worried, and that you want them to get help. You need to let them know they’re important and valued, and that they can depend on your help and support. Lastly, you need to set conditions for things that will happen, should they choose not to get help. The last part is extremely important, and it cannot be overstated. You need to put the ball in the substance abuser’s court, so to speak, and give them the chance to make the choice they want. As long as they have the options in front of them, they should be able to really weigh, one way or the other, what is better for them in the long run. A properly conducted intervention allows the substance abuser to keep their dignity and it treats them as a full participating member of the dialogue. For those who need assistance setting up an intervention it’s important to consult professionals, or those who have had success with an intervention in the past. Experience is important, and it can help you avoid making mis-steps that will turn a good intervention into a fight. 5 Benefits of Hiring a Professional Interventionist - Intervention is one of the methods of helping a loved one get into treatment for addiction. It is a sensitive process, and hiring an interventionist can help it go smoothly and effectively for the benefit of all involved. Common Intervention Steps - When someone you love is struggling with an alcohol or drug problem but is unaware of just how bad things are, it may be the right time to stage an intervention. How Interventions Work - Watching someone you love throw their life away from drugs or alcohol is not easy. Staging an intervention can encourage them to get the help they need, and help them realize they have a problem. How to Plan an Intervention that Will Help Your Loved One - Intervention is one strategy to get a loved one to seek treatment for addiction. In an intervention, loved ones confront the person they think needs help and discuss their worries as well as offering to find them help. Intervention Strategies That Work - While telling a loved one that you think they have a problem and need help can be difficult, it can save their life. Doing this is sensitive, however, and intervention strategies should be used. Staging an Alcohol Intervention - If you are considering staging an alcohol intervention to help one of your loved ones be sure to make the necessary preparations. 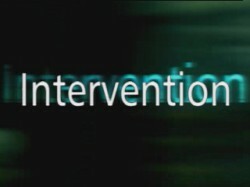 If gone wrong, an intervention can have the opposite effect of its intention.